What happens when a craft beer enthusiast discovers bamboo? Bamboo beer. This unique, sustainable brew is challenging traditional brewers and generating multiple benefits for the environment and local communities in Puebla, Mexico. Mauricio Mora Tello’s interest in bamboo began seven years ago when he attended the 2008 World Bamboo Congress. A multimedia technician previously unaware of the plant’s potential, he was amazed to discover its many climate-smart properties. “Bamboo is fast-growing, it is versatile and sustainable, and so I realised it had a lot of potential in many different areas. Also, the benefits are not just economic – there are many benefits for the environment and for health,” he argues. 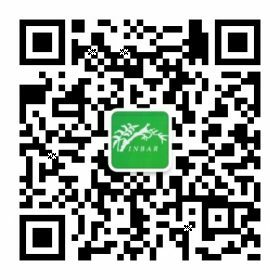 Soon after, he invested in a bamboo plantation and was later awarded a scholarship to attend a course in China, where he was first introduced to the potential of bamboo-based beverages. Witnessing the craft beer revolution sweeping through Mexico, he subsequently opted to brew bamboo beer, establishing ‘Bambusa Cerveza.’ Starting with an initial production of two thousand bottles, the enterprise has since grown, and three years later, he is now producing six thousand bottles every year, mostly sold in the state of Puebla. Mora Tello attributes this growth to the increasing demand for unique beers – the consequence of a burgeoning craft beer scene that has grown with the expansion of Mexico’s middle class and responded positively to a policy environment that is attempting to check the power of the country’s dominant brewers. A 2013 ruling by the Federal Competition Commission limited exclusivity deals for big companies like Modelo, opening the way for smaller brewers to reach agreements with restaurants, bars, and liquor stores. 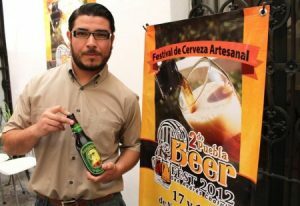 While still accounting for no more than one percent of Mexico’s USD20 billion beer industry, the ruling has given encouragement to an estimated 400 micro-breweries now operating across Mexico. 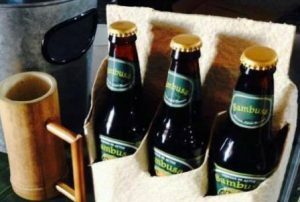 ‘Bambusa Cerveza’ delivers the authenticity that microbrew consumers demand. Based on German wheat beers – or ‘weizens’ – the beer has been described as having a slightly spicy, citrusy flavor, with herbal overtones and a medium to low bitterness. The beer is available in both pale and dark colours. 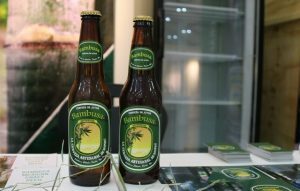 While bamboo may give ‘Bambusa Cerveza’ the edge in terms of delivering its unique taste, it also generates additional benefits. It provides the material for packaging and employment and economic opportunities for the local community. Those benefiting include a group of women whose husbands have emigrated to the United States in search of work. Sustainability is guaranteed by a continuous supply of bamboo leaves – the beer’s principle ingredient. Bamboo is also the raw material of the beer’s packaging. The bamboo plants constantly regenerate themselves, producing leaves that can be harvested throughout the year. While still a small operation, proximity to Mexico City – a metropolis of 20 million people with a thriving gastronomic scene – provides a unique opportunity for continued growth. There are also plans to penetrate foreign markets, taking advantage of the insatiable thirst for microbrews in the United States and burgeoning craft beer movements elsewhere – in Uruguay, Costa Rica, Japan and Ecuador. But, export will depend on increased capacity and market research – getting to grips with the tastes and opportunities that will ultimately inform the development of sound export strategies. There is also the issue of meeting import criteria: a major challenge going forward will be adequate quality analysis and certification. “We’ll need to prove what the beer’s composition is, and also prove that when we say it is organic, we can demonstrate it is,” admits Mora Tello. “We need to show that it does not contain additives, preservatives, or chemicals.” Tests will soon be conducted at a university laboratory and export is due to start later this year. 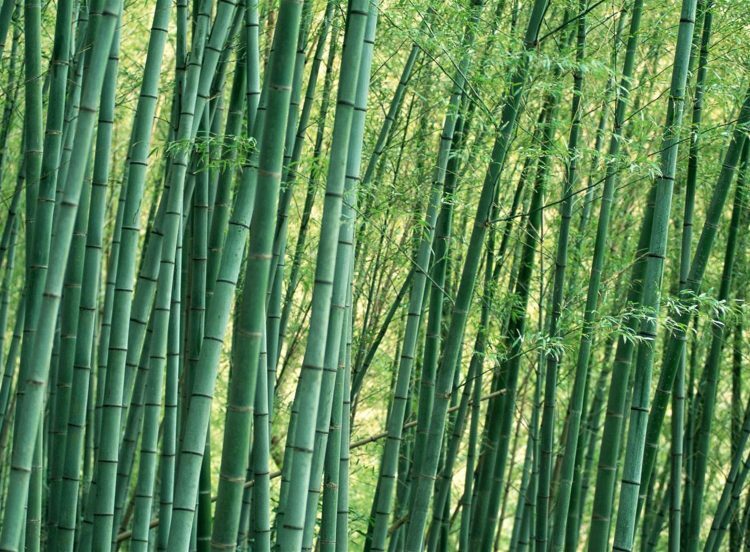 There are further plans to experiment with different beer styles and use other bamboo parts – in addition to the leaves which currently form the beer’s main ingredient. An assessment of bamboo species endemic to Mexico and their potential application in other artisanal drinks will also be carried out. Tea made from bamboo shoots is one option being explored. Mauricio Mora Tello, Founder and Commercial Director of Bambusa Cerveza, was interviewed at the 10th World Bamboo Congress in Damyang, Korea.